One of the pastimes I am often found guilty of is trawling the interwebs for diabetes gear. Managing diabetes day in and day out, can feel downright monotonous at times. Anything that helps to make me feel more excited about checking my blood sugar, treating a low, or more effectively delivering my insulin doses are all winners in my book. Being a guy, I’m constantly trying to make things as compact and easy as possible to travel with when I’m on the go. But I’m also a really sensible person. A practical one as well, while I’m at it. I don’t like spending money on things that I don’t have a use for. I constantly weigh up whether my hard earned dollars could be better spent on things like test strips, pump consumables, paying bills or meeting the financial goals I’m working towards. And damn, diabetes gear can be so bloody expensive. Another item I’ve been mulling over during Christmas is a fully fledged CGM. I was actually asked the question just a few days ago, when my rationality began pouring from my mouth. The cost of the transmitters, that send blood glucose data from the sensor to my iPhone or receiver, would be enough to purchase a year’s worth of FreeStyle Libre sensors. That money could also be put towards other essential stuff like health insurance, doctor’s visits, test strips, pump consumables, hypo treatments, batteries and insulin. Ditto to the question of overseas travel. Yeah, I might be a rational person in nature. Yet still, I believe that living with diabetes is definitely one of the reasons as to why I am so rational. No matter how great a country I live in, how comfortable I am or how secure the roof feels over my head, part of my brain is always thinking about that rainy day that I hope I don’t ever have to face. It would be difficult to find fault in 2017. It was an amazing, amazing year. In what certainly feels like the blink of an eye, a whole bunch of amazing things happened in the diabetes world. In February, I ventured into a coffee house south of the river, where I met a group of total strangers with diabetes. Over the months that followed bonds were formed, some brilliant ideas were brought to the table, and events were held across Perth. A Young Adult Diabetes Committee quickly came to life. It’s exciting to finally have something close to home that caters for young adults with diabetes, in the same way that kids and families have the Telethon Type 1 Family Centre. It wouldn’t have been possible without this group known as the YADC Legends, and of course the support of Perth Diabetes Care. 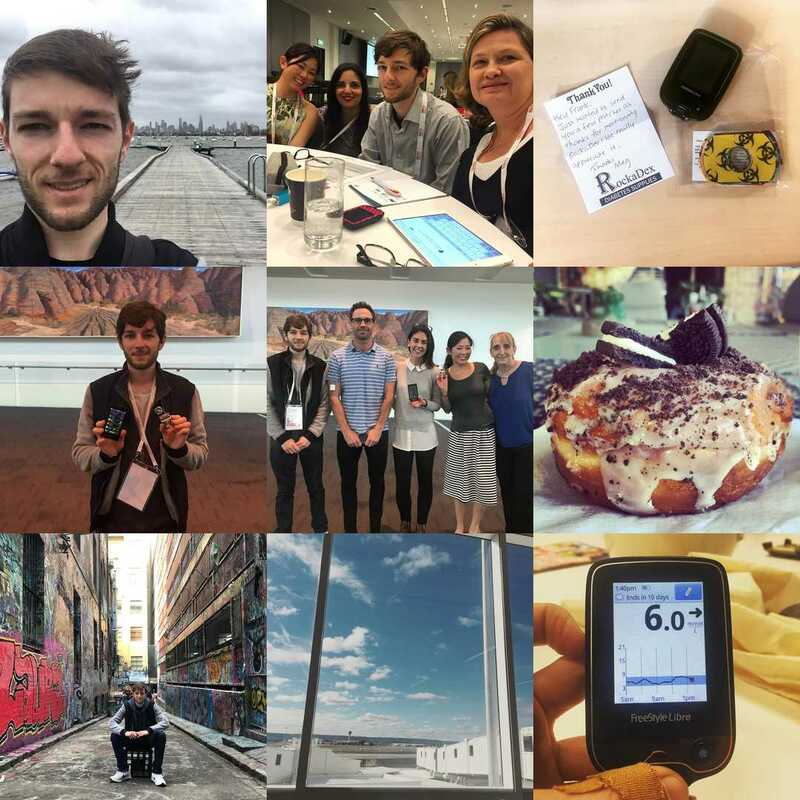 In April I attended Medtronic’s inaugural Diabetes Advocates Day in Melbourne, where I caught up with some new and familiar faces in the DOC. The day was over sooner than it began, but I was fortunate enough to hear some news on the progress of closed loop trials underway here in Australia. Hopefully this will pave the way for Medtronic’s 670G hybrid closed loop insulin pump, which communicates with CGM to regulate glucose levels, to hit our shores. April also brought with it the announcement of the federal government subsidy of Continuous Glucose Monitors for those under the age of 21. It was a bittersweet announcement, because while it’s a win for kids and families, type 1 doesn’t magically disappear at the age of 21. It was also disappointing to hear that children in some age brackets would have to ‘prove’ their need for such a system, which is reminiscent of battles people face for health insurance coverage in the US. 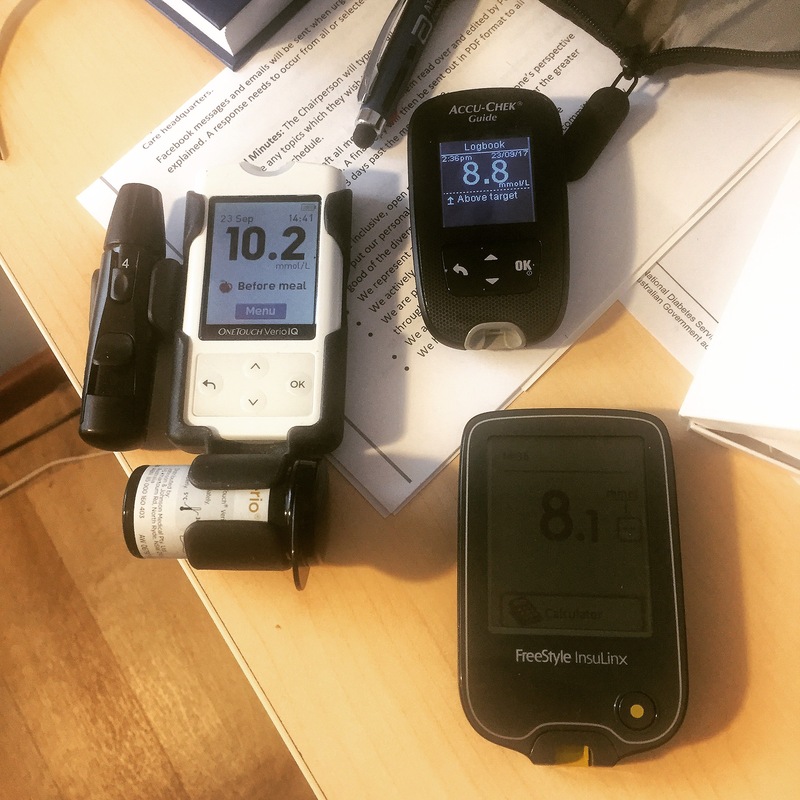 Diabetes Blog Week rolled around again in May, which saw 100 diabetes bloggers answering a prompt each day for five days. It was my third year participating, and connecting with so many other people with diabetes from all over the world really reminded me of why I am a part of the Diabetes Online Community. June presented me with an opportunity to join the team at Diabetes Daily as a freelance writer. This role has really challenged me, both as a writer and in thinking beyond my own perspective as someone living with diabetes. 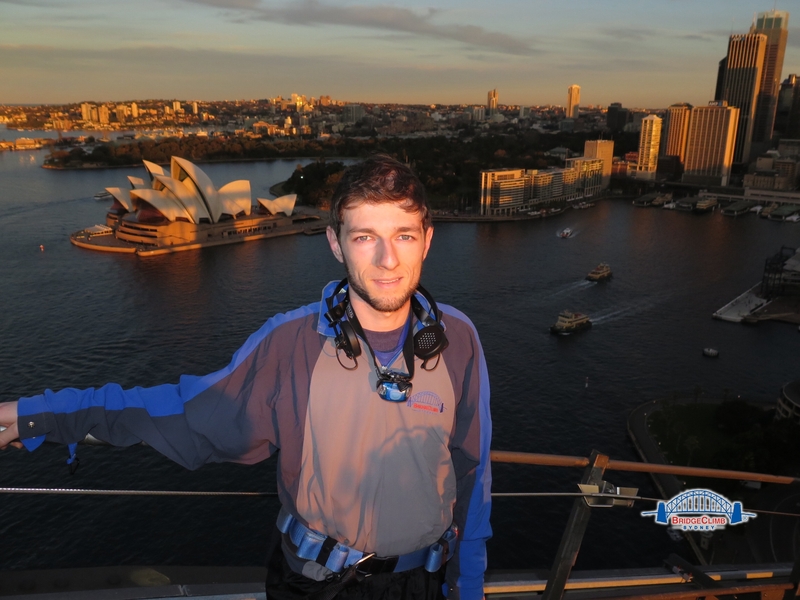 Massive thanks to Diabetes Daily for having this Aussie on the team! Australia’s National Diabetes Week rolled around in July. While there were still some messages centred around complications, it was fantastic to see a theme that encouraged people to raise awareness of the signs and symptoms of diabetes. This is what diabetes week should be like, every year! 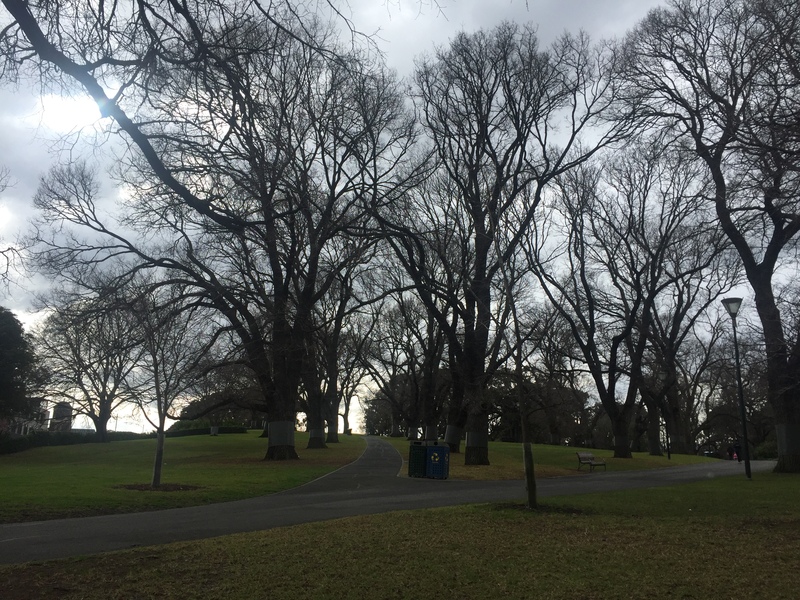 August began in Melbourne with Abbott’s second Diabetes Exchange event, following on from the initial event where the FreeStyle Libre was launched in 2016. Once again, the planning and execution of these two days was superb. It was extremely generous of Abbott to reconvene this group of bloggers together once again, continuing conversations that were able to go beyond the product itself. Thanks for making me feel so valued! Later in the month, I was an invited speaker at the Roche Educators Day (RED). It extremely humbling to meet so many passionate diabetes educators who had given up their day to learn from us. I was also able to put faces to many healthcare professionals I had previously only interacted with through the DOC. Massive thank you to Roche for having consumers involved for the first time, and for making us feel so welcome! At the end of August, I was able to tick the ADS-ADEA conference off my bucket list thanks to the generous sponsorship of Diabetes Australia. I was thrilled to be attending sessions and acting as a consumer reporter at an event largely attended by industry professionals. I also realised that we still have a long way to go in getting others to see the value of having consumers involved in these kinds of proceedings. Thank you to Diabetes Australia for pioneering this initiative, and to Renza, Ashley and Melinda for fantastic company! October brought with it the news that Animas would cease the manufacture of the Vibe insulin pumps in the US, with a view to eventually exit the market globally. It’s sad to see choice taken away from people with diabetes, moreso here in Australia where we will eventually be left with only two options – Medtronic and Roche. Fortunately, a new entrant hit the insulin pump market in Cellnovo! I was lucky enough to get a sneak peek at the Cellnovo system during the ADS-ADEA conference, before subsidised consumables finally became available through the NDSS in November. December marked the end of weekly OzDOC chats on Tuesday nights. While it was bittersweet to see the space where I first found peer support online come to an end, the timing felt right. As this little corner of the internet turns three, I just wanted to say a massive thank you for reading, commenting, getting in touch, Facebooking, Tweeting, talking to me or coming along to one event or another. I continue to write and be involved in the diabetes space because of this resounding feeling of community that helps me not to feel so alone in all of this. You have all made my world a lot smaller today, and for that I am extremely grateful. I’m not sure what 2018 has in store for me, but it sure does have big shoes to fill. In my latest column for Diabetes Daily, I’m talking about why I think this question is setting people with diabetes up for failure. “I absolutely hate being asked how controlled my diabetes is. How on earth can such a complex condition be explained in a yes or no question? If a healthcare professional expects me to evaluate my diabetes management with a one-word answer, then they are setting me up for failure. It’s like asking me if I completed the marathon last week, without showing any interest in the journey or preparation that I undertook to get myself past the finish line. You can check out the full column at Diabetes Daily here. 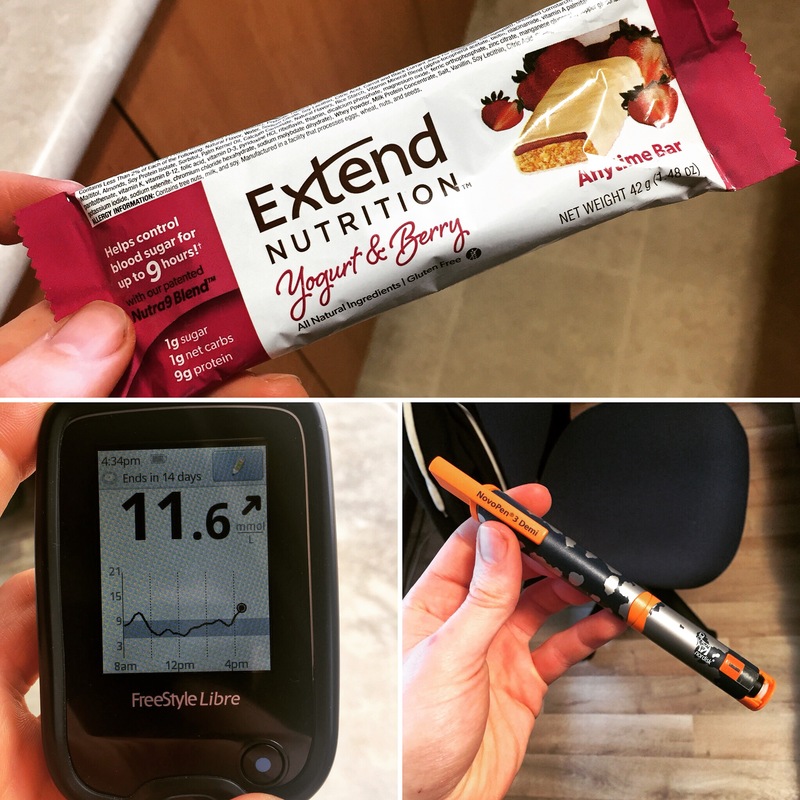 Earlier this year, I was sent a box of Extend Nutrition Bars from IBD Medical to try. I can’t say that I could muster too much enthusiasm for these, given that nutrition and exercise aren’t really my thing. However the folks at IBD Medical were still happy for me to give them a go and provide my own honest opinions. Extend Nutrition bars claim to “control” blood sugars for up to 9 hours when eaten at bedtime. Their blend of carbohydrates convert to glucose extremely slowly and therefore do not need an insulin bolus. They have been proven to reduce overnight hypoglycemia by up to 75% when eaten as a bedtime snack, and are also ideal as a snack inbetween meals. It’s safe to say that I was pretty skeptical of these claims. I struggled to bring myself to actually put carbs into my mouth before bedtime and not bolus for them. Especially 22 whole grams of them. I rely on my basal rates to keep my blood glucose steady overnight, so I couldn’t really see any value in bedtime snacking. I will preface my experiments by saying that bedtime blood sugars are extremely tricky to read. Evening meals tend to be the most variable, and can sometimes be difficult to carb count and accurately give insulin for. Often there might be delayed effects of afternoon snacks or evening meals that may require a follow up correction later on. However, I’m fairly confident in these observations. When eaten before bed, the bars spiked my blood sugars by at least 6mmol within 2-3 hours of going into my mouth. If I hadn’t of set an alarm to check my blood sugar levels post-bars, I would have been in for a rude shock the next morning! I also tried using one of the bars as a pre-walk snack. Usually walking will send my blood glucose low if I don’t make any adjustments to my basal rates or consume carbs. The yoghurt and berry bar sent me from a starting blood sugar of 7.7mmol to 11.6mmol within an hour of consumption. I do genuinely believe that my experience with Extend Nutrition won’t be reflective of yours. I have learned from friends in the diabetes community that Malitol and other “non factor” carbs can have an impact on some people’s blood sugar levels. However I have also spoken with other type 1s who have tried these bars and experienced minimal impact on their blood sugars. Tammy over at Diabetes: Forever and Always also didn’t seem to experience a noticeable impact on her blood sugar levels in her review of the bars here. The bars definitely had a slow effect on my blood glucose levels, meaning that they would be an ideal low glycemic index snack for someone with diabetes. It just wasn’t a 9 hour release of energy for me as the packet stated. My initial verdict was that these bars would likely be great for people with type 2 diabetes who are still producing some insulin to cover the effect of the bars. However after watching this video explaining the science behind the bars, it seems that they were designed for someone taking insulin. Apparently, the non factor carbs in the bars convert to glucose so slowly that basal insulin would cover them. I did put to IBD Medical questions about the claims of the bars. I was told that in the US, Extend Nutrition conducted a series of trials to underpin each claim for the bars. 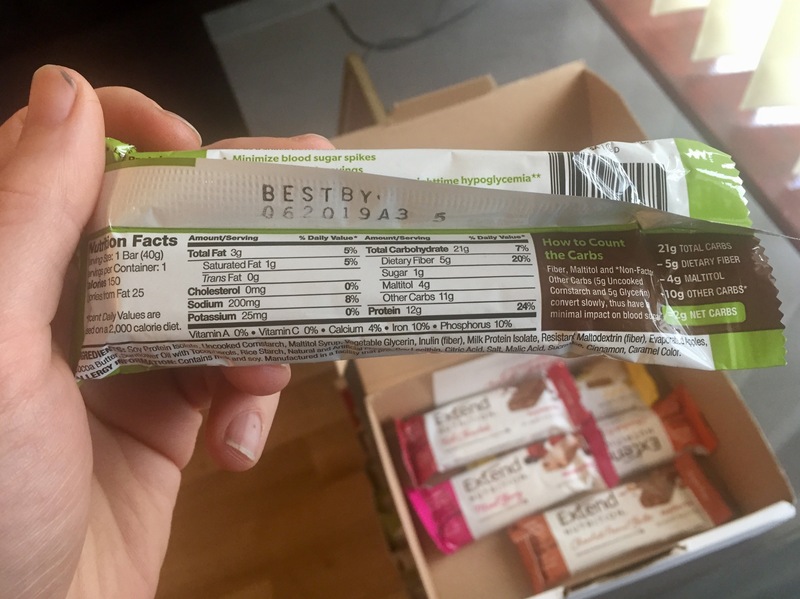 Meanwhile in Australia, the claims on the packaging have been registered as a general health claim with the Food Standards Australia and New Zealand. While I don’t doubt the claims, everyone will respond differently to the ingredients in the bars. In my case, Extend Nutrition bars were unable to live up to their claims and control my blood sugars. The most important deciding factor for me, however, would be the taste. Unfortunately, I wasn’t a huge fan. They tasted too artificially sweetened and gunky for me to want to buy them again. I’d much rather bolus insulin for a bar with oats, seeds, nuts, or even a drizzle of honey. 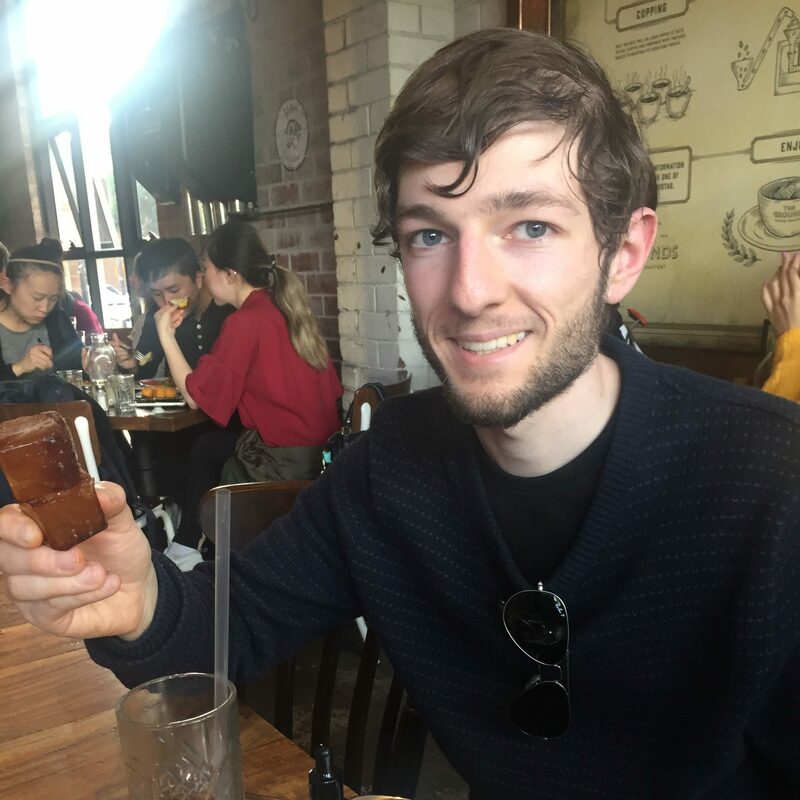 Extend Nutrition Bars were sold in Australia by IBD Medical, but since it’s taken me so long to write this blog, the link I was given no longer seems to be working. You can find out more about Extend Nutrition on their US website here. 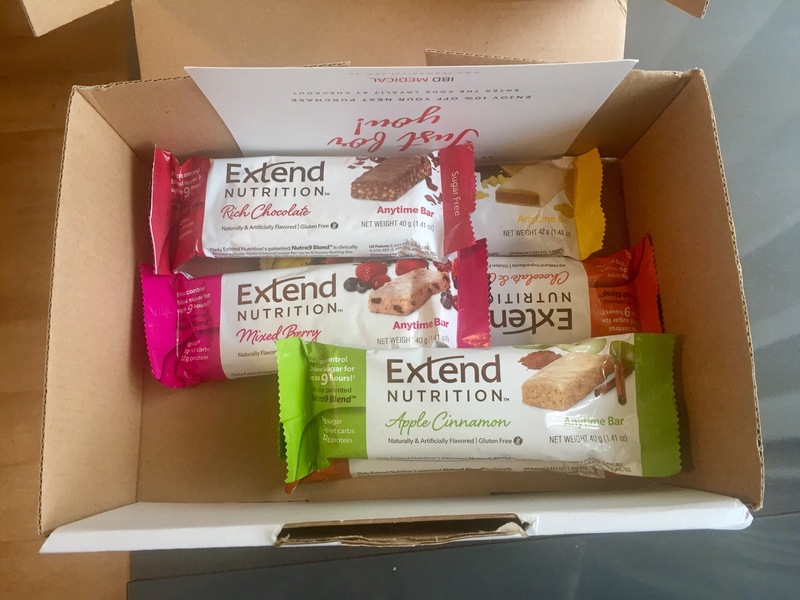 Disclosure: IBD Medical sent me a box of Extend Nutrition Bars to try. There was no expectation that I would blog about them, and all opinions expressed here are my own. In my latest column for Diabetes Daily, I’m pondering over whether I consider myself ‘normal’ as someone living with diabetes. I rejected this notion that diabetes made me different. I hated seeing campaigns and stories that shed a light on some of the consequences of diabetes. I wanted so badly to project an empowering, superhero-like image of diabetes to the world, even if there were highs and lows along the way. You can check out the full column here.